Sharing a quick idea today for ten frames work! 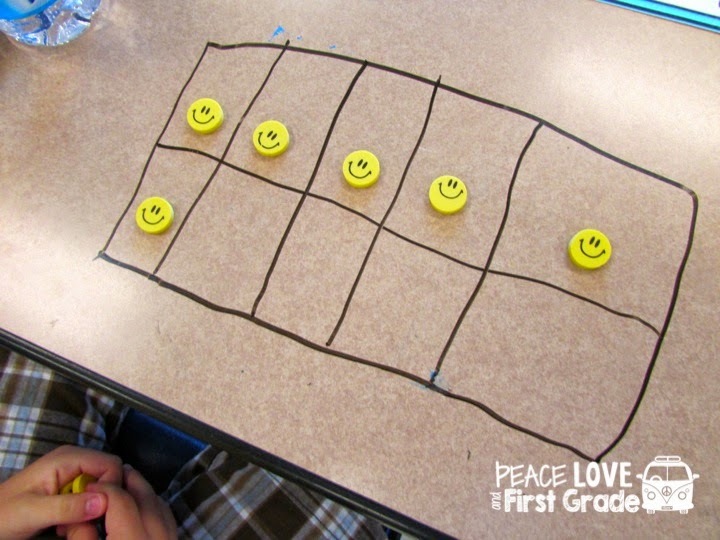 I love using the ten frame in my classroom. It's such a powerful tool and leads to great understanding of number sense. why not have the kiddos make their own? We love breaking out the counters (aka-mini erasers) to practice number skills! FYI: Clorox/Lysol wipes or shaving cream take the dry erase markers right off. Shaving cream smells really good, too!